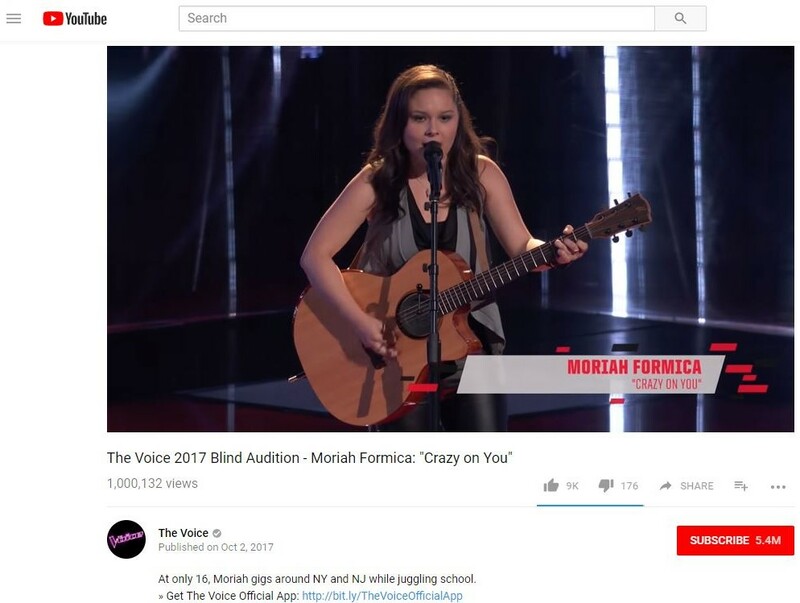 Moriah Formica, 16, performed Heart’s “Crazy on You” during her audition. On October 20, it received 1 million YouTube views. Formica’s father inspired her to become a self-taught guitarist. Formica’s powerhouse vocals and guitar skills shined. As a result, Formica amazed the coaches and scored a four-chair turn. Adam Levine said that Formica is an old soul as well as the next great female rock-n’-roll singer. In awe, Jennifer Hudson said that Formica proved that age is just a number. Hudson added that Formica’s hard work towards her craft showed through her performance. Blake Shelton predicted that Formica would become a star. Miley Cyrus expressed that she wants to be like a big sister to Formica and give her friendly advice. Cyrus, 24, said she could relate to Formica and mentioned her early start. Moriah Formica chose to join Team Miley. On October 16, The Voice’s first battle rounds aired. Moriah Formica and Shilo Gold sang “American Woman” together. All coaches agreed that both singers shined onstage. Adam and Jennifer said that Formica had the edge. Cyrus picked Formica as the winner of this battle. Then Formica advanced to the knockouts. Click here to watch their performance. NBC’s The Voice airs at 8/7c on Mondays and Tuesdays. On October 30, The Voice‘s first knockout rounds will premiere. Stay tuned. Moriah will be featured in the knockouts.